This class is scheduled for Saturday, February 23th from 10:00am until 12:30pm (first session). 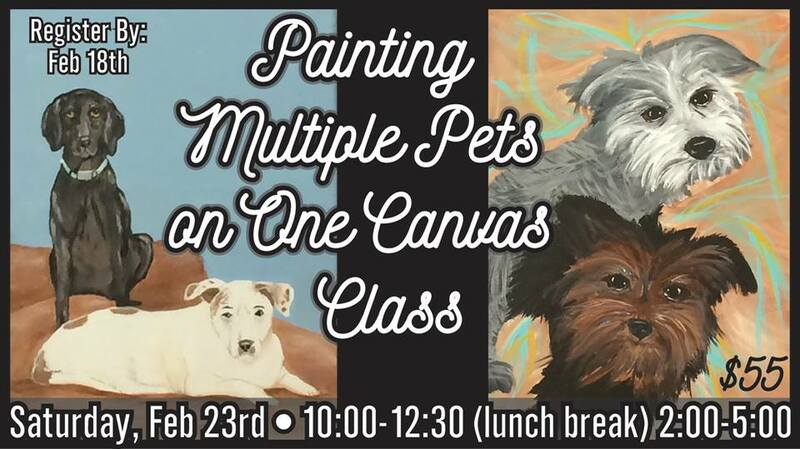 We’ll break for lunch and meet back at 2:00 to finish painting your pets by 5:00. Registration ends Monday, February 18th.